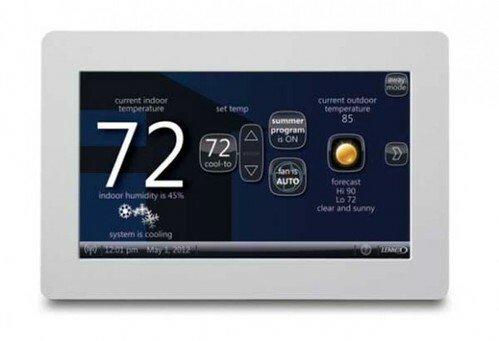 Heating and cooling company Lennox launched its new device – WiFi enabled thermostat icomfort. It allows home owners control cooling or heating in one click directly from device (thanks to color touchscreen) or remotely via web interface or smartphone application. The icomfort not just control heating, air-conditioning, air purification systems or dehumidifiers but it can notify consumers or installers about repairs or maintenance needs. Also it displays a real-time weather information plus five days forecast for better adjustment of temperature. The Lennox thermostat automatically checks firmware updates and allows skin customization to fit in your style. There is a plenty of ways to measure and control the power consumption in the individual houses or apartments. In my mind, the best is TED so far. 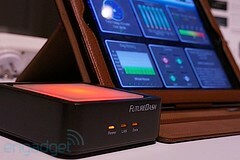 But new product of Cali-based startup FutureDash called EnergyBuddy has all chances to be better. The main square box indicates the power consumption level by different colors. It has Ethernet and WiFi module to connect to your network. Power measurement is done by clips with module for whole house or SmartPlug module for specific device/appliance. Both transmit data to the EnergyBuddy using ZigBee wireless technology. Additionally to color indications you can use smartphone, tablet or PC to see different kinds of graphs and charts as well as control SmartPlug modules remotely. The EnergyBuddy can be pre-ordered at Indiegogo. So, don’t miss a change to be one of the fist EnergyBuddy owners and help FutureDash release it in production. INSTEON is coming to Europe!